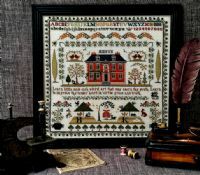 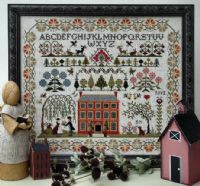 This sampler features the quintessential English country house and garden. 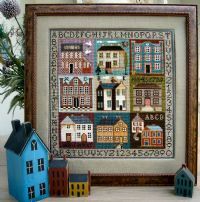 A wonderfully interesting sampler to stitch. 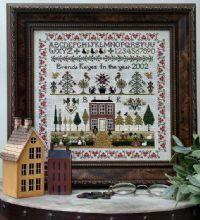 The model is worked over one thread of fabric, but because it is a charted design it is possible to work in either half or full cross stitch on any evenweave fabric of your choice. 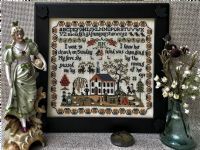 The size will then alter accordingly.